An unexpected tragedy in the life of a selfish man leads to sweeping changes. In his fiction debut, Goldsmith (Lost and Found, 2011, etc.) wastes no time in acquainting readers with the many personal shortcomings of one of his main characters, popular and successful South Florida plastic surgeon Marc Cohn, a narcissistic, unfeeling jerk. One positive force in Marc’s life, in the years before this story begins, was his wife, Cathy, beloved by everybody in her community. When Cathy suddenly dies of a brain hemorrhage, Marc is shattered—and left as the sole caretaker of their moody and problematic teenage son, Max. Marc is gingerly trying to reach out to his son (whose care he mostly left to his wife) when his brother Norman, a public prosecutor in Alaska, asks him to help cover the shifts of the prison physician. 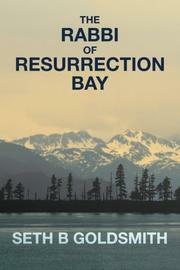 Transplanted and out of his element, Marc encounters Hannah “Chani” Weissfogel Kahn, the rabbi of Resurrection Bay, Alaska, whose back story readers get in a handful of slightly overlong early chapters. Gradually, in short and straightforward chapters told with a refreshing lack of artifice, Goldsmith expands the narrative as Marc and Chani begin to feel attracted to each other, Max starts to get interested in Alaska’s famous Iditarod race, and Marc decides to become involved in relief medical work in Africa. Goldsmith’s ear for dialogue is superb, and his careful plotting allows an otherwise slightly outlandish tale to unfold naturally. The subplot centering on Max feels a bit rote, but the story of Marc’s rediscovery of his own humanity—and the pivotal but unassuming role Chani plays in that process—is believable and absorbing, as are the book’s depictions of its various locations. In particular, Alaska’s vistas and people are evoked with obvious affection. The novel’s emotional payoff in its concluding scenes is smoothly and confidently orchestrated, emotional without being saccharine, and the expansions on Jewish life and culture never feel forced. This is an accomplished debut novel. A solidly uplifting story of a plastic surgeon seeking redemption.